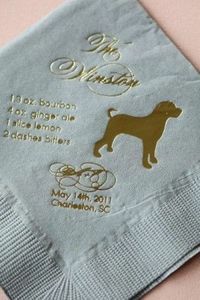 A classic personalization style is to use the bride and groom's names or new monogram. 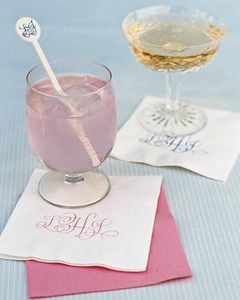 From a single last name initial or 3 letter monogram to both first names, try to match a typestyle used on your invitations or programs. We love a metallic touch too! 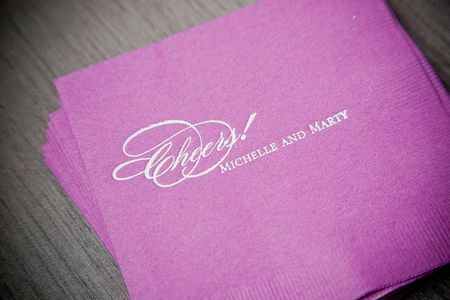 Another way to customize your cocktail napkins is to add a fun phrase like "Cheers!" 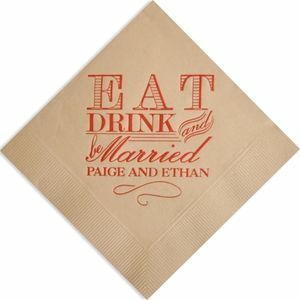 or "Eat, Drink and Be Married." 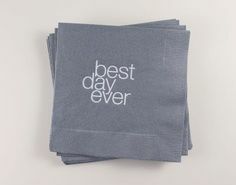 Try to use this phrase again at some point like on your menu or your favor packaging to tie it all together. 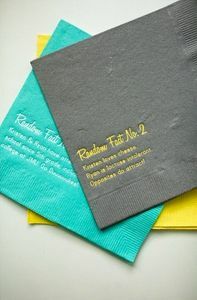 Use two different typestyles to add something extra! 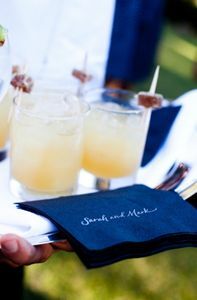 Having a signature drink at your wedding? 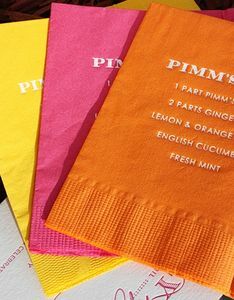 Feature the recipe on your cocktail napkins! 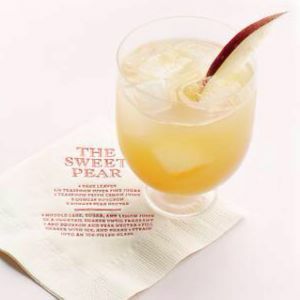 Guests can take them home to try and recreate the recipe or will know what to order when they get to the bar. 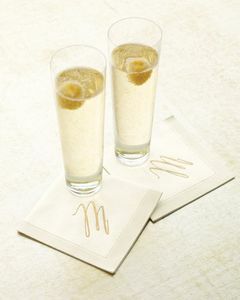 Give your signature drink a creative name and also feature it on signage at the bar. 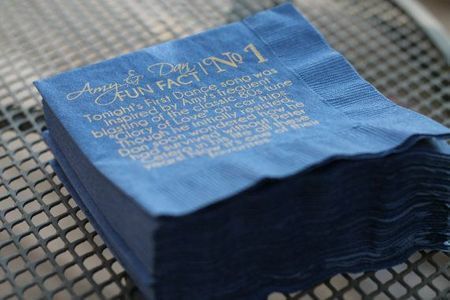 Let your guests get to know you and your groom better by adding interesting facts about yourselves to your napkins. 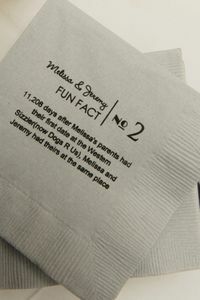 Many of your parents friends may not know much about you as a couple so let them know how you met or how you got engaged while they are enjoying their hors d'oeuvres.